IN BUSINESS, integrity is a quality that shines through. This was what the late Jose Garcia taught his children and grandchildren when he handed over JEG Development Corp. (JDC), which is now actively run by the third generation. They say most businesses struggle to transition to the second generation; more so to the third generation. Marko Sarmiento, JDC’s chief operating officer, said that for some family businesses, the third generation may not always be the charm. But for this family, they are blessed to have a close-knit family. “We saw the value of the business and the hard work that was put into it. It’s a business entrusted to us by the first and second generation that we want to continue and grow,” said Sarmiento. Sarmiento is joined by his cousins Stefan Garcia and Ayla Gomez, who sit as estate and development head, and brand manager, respectively, of JDC. The three went on hiatus from their individual ventures to join and focus on reviving the family’s business, particularly in the real estate sphere. JDC’s past projects include pocket residential developments like the 14-townhouse Tomodachi Premium Residences in Talamban; Blue Garden, a mixed-use building in Lahug; and a commercial strip named The Gallery. “This is a big responsibility that we willingly embraced,” said Gomez. JDC is currently building JEG Tower @ One Acacia. The project sits on a 1,700-square-meter property at the corner of Archbishop Reyes Ave. and Acacia St. in Cebu City. The office tower is positioned as an ecologically-innovative and technology-driven office building. It is expected to be completed in the third quarter in 2019 and is scheduled to fully operate in 2020. The 22-storey Grade A building is said to mark the family’s strong return to the real estate industry in Cebu, said Sarmiento. Although he admitted they came a bit late in taking advantage of Cebu’s flourishing real estate scene, Gomez said they came right in time when the trend of building offices and residences was geared towards sustainability. JEG Tower is Leadership in Energy and Environmental Design (Leed) registered, which means it was designed and built using strategies aimed at improving performance across all the metrics that matter most: energy savings, water efficiency, carbon dioxide emissions reduction, improved indoor environmental quality, and stewardship of resources and sensitivity to their impacts. 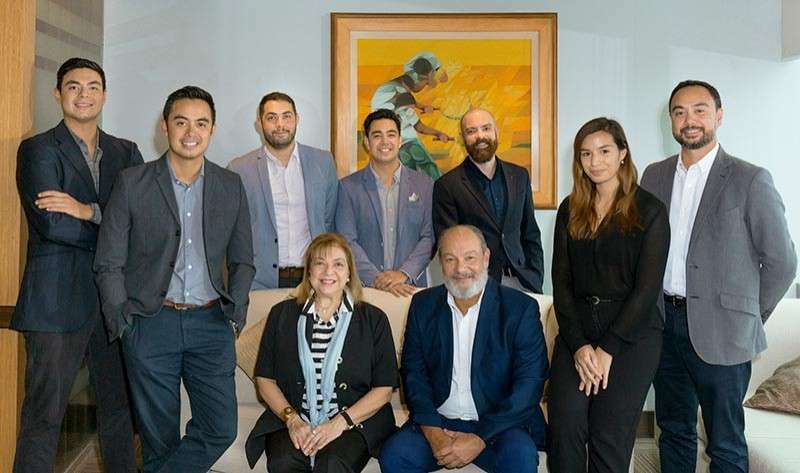 Garcia said they have been hands-on since day one in designing and building their flagship office tower that is set to define their name in the real estate industry. Garcia said they want to be known as a developer that delivers what they promise to their clients. “Integrity is one value that was taught by our ancestors. We want to be consistent with what we think, say and do,” said Garcia. “It isn’t always about the bottom line but more about the greater good,” added Sarmiento. Gomez said they want to show off an office ambiance that boosts productivity among the workers. She said the building features amenities that promote work-life balance. On the side of the tenants, the building provides energy-saving systems that could significantly bring down operational costs as well as advanced technologies to help them run operations efficiently. Garcia said going green or being a green building isn’t just a marketing tool but an initiative they took to heart, being a homegrown brand. “Sure, it is something that adds value to a project, but we aspire to help build a better Cebu. We are from here, and with the speed of progress Cebu is experiencing now, it is our duty as developers to still make the city livable,” said Garcia. JEG Tower is eyeing to house knowledge-process outsourcing (KPO) firms or the high-value and high-end business process outsourcing services. They also aspire to house company headquarters. Another feature of the tower is the roof deck, where tenants can hold meetings and other office-related activities. While they are yet to launch the office tower, Sarmiento said they have outlined potential projects they will embark on in the next five years. He said some five to six projects are being considered in various units of real estate like office, residential, warehouse and tourism, among others. “We remain bullish about Cebu’s real estate industry, particularly in the office sector. As Cebu continues to exhibit stellar growth, more companies and businesses will be establishing bases here and these are opportunities for both existing and new players to capture,” said Sarmiento.